6.11 The I 사랑 Lucy 크리스마스 Show. 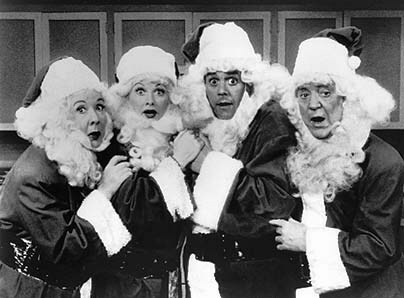 The four dress up as Santa for Little Ricky. Wallpaper and background images in the 623 East 68th 거리 club tagged: lucy ricky fred ethel lucille ball desi arnaz vivian vance i love lucy william frawley. This 623 East 68th 거리 Screencap might contain 모피 코트, 모피 칼라, 모피 악센트, and 모피 액센트.